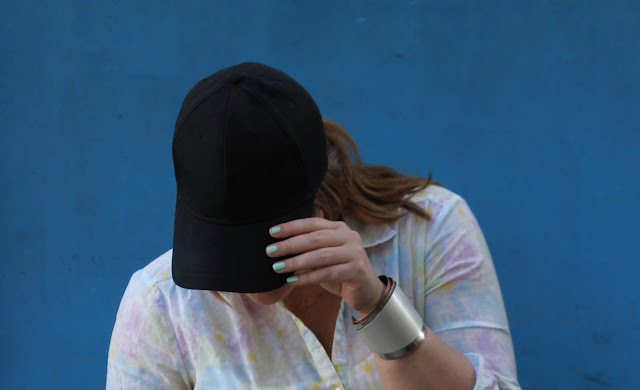 I've been wanting a baseball hat for quite some time now, and on my latest trip to H&M, I found the the perfect, simple black one which- this may sound silly- but I am a huge Jay-z fan and it reminded me of him (hip hopper alert!) 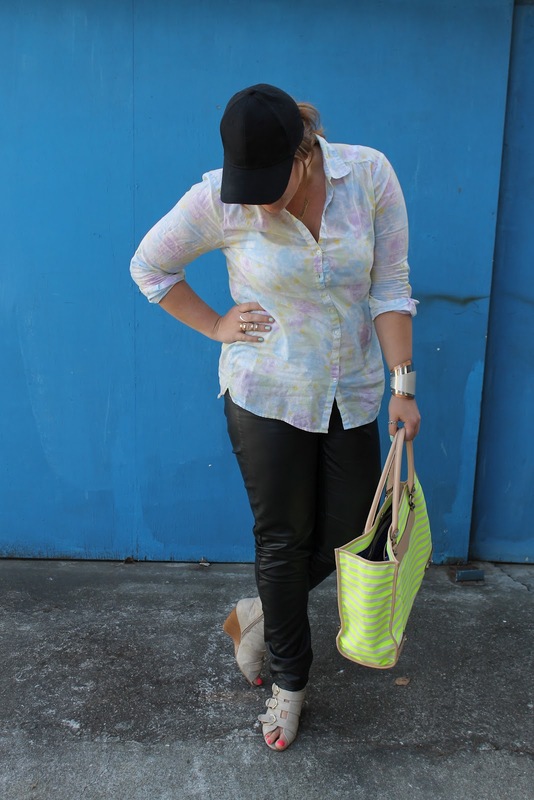 And why not wear it with leather pants, floral top and my fave Rebecca Minkoff neon tote? Thought it made this otherwise simple look(er..simple to me) a little more fun and cool! What do you think? Will you be rocking a baseball hat this summer? 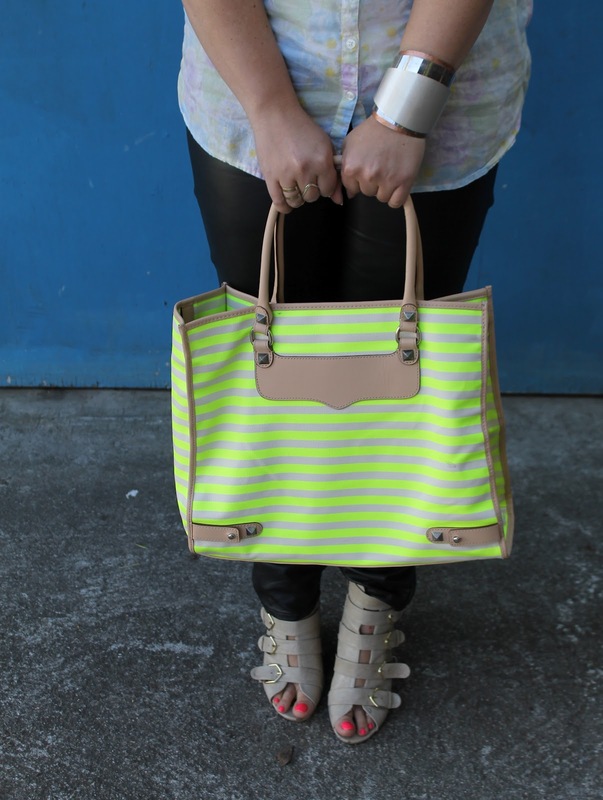 That neon tote is AWESOME. U look really good on a baseball hat. Wish I could pull it off. This is a much edgier look than I'm used to seeing you in...and I love it! The hat is adorable on you! Love that neon bag! 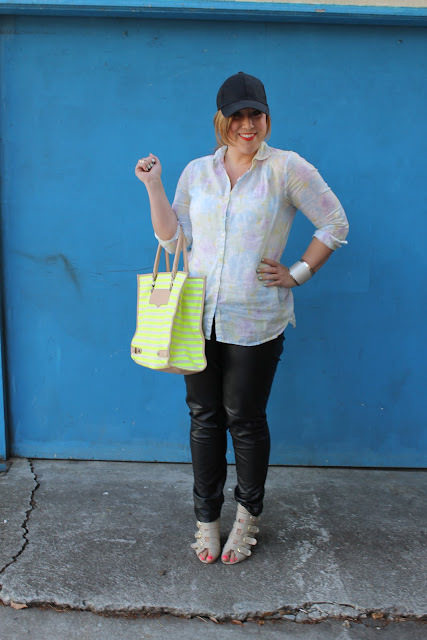 Not sure if I can pull off a baseball hat but it looks great on you! OMG, I LOVE that necklace. Amanda, that's FN sweet! Next time we hang, we'll rock the mic together, ADORE hip hop!